SAN FRANCISCO -- Apple has announced plans for a new product event on Sept. 9 in San Francisco, where the giant tech company is expected to show off new iPhones and other gadgets. Invitations for the event were sent to reporters and analysts Thursday morning. In usual fashion, Apple is only hinting at what to expect. 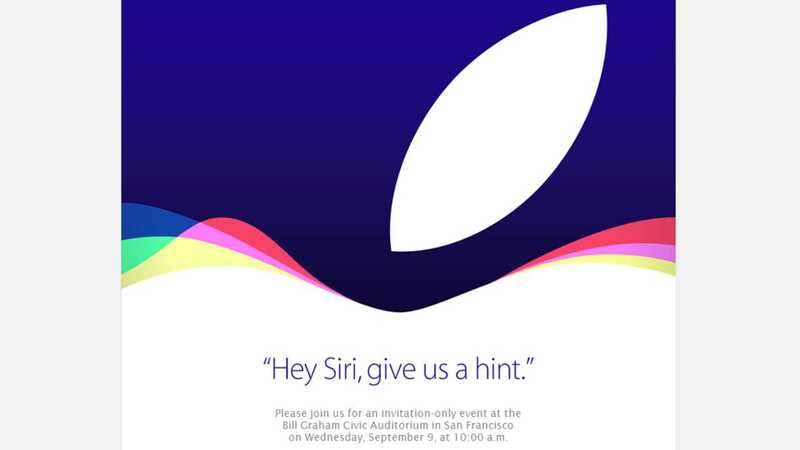 The invitations mention Apple's digital assistant, "Siri." Apple has previously said it plans to expand Siri's features in the new version of its operating software for iPhones and iPads. Along with a new iPhone model, tech industry insiders have speculated Apple may introduce a larger iPad and a new set-top box for television sets. The company however has not confirmed any plans. The event will be held at the Bill Graham Civic Auditorium in downtown San Francisco.